Since December, our team has been working on new approaches to the design of the hospital maternity ward, especially focusing on the client experience of the care receiving woman. The Lab.our Ward project aims to improve the quality of care from the women’s, as well as care provider’s perspective and positively impact on maternal and newborn child health outcomes. Lab.our Ward advisory group learning about our service prototypes. Service Designer Damaris Rodriquez takes notes on the far left. In the design work, we’ve employed a cross-disciplinary working model with the project team consisting of architects, interior designers, product and industrial designers and service and experience designers. In the first phase of the project, the team conducted field research in Uganda, Kenya and Zanzibar and worked on various concepts around maternity ward products, space and services. During the first week of March, we held an evaluation and co-design workshop with the project’s advisory group to narrow down on the ideas and prioritize prototypes. 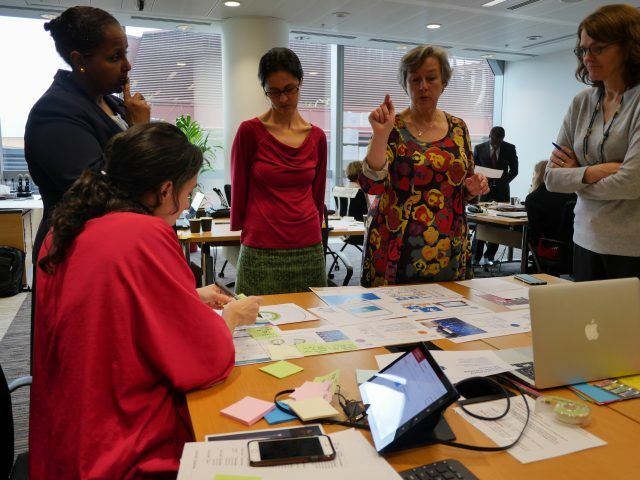 At the moment we are in development phase and preparing to exhibit the outcomes of the project during the Women Deliver conference taking place mid-May in Copenhagen, Denmark. If you will be attending the conference, make sure to visit our Lab.our Ward space in the Exhibit Hall! 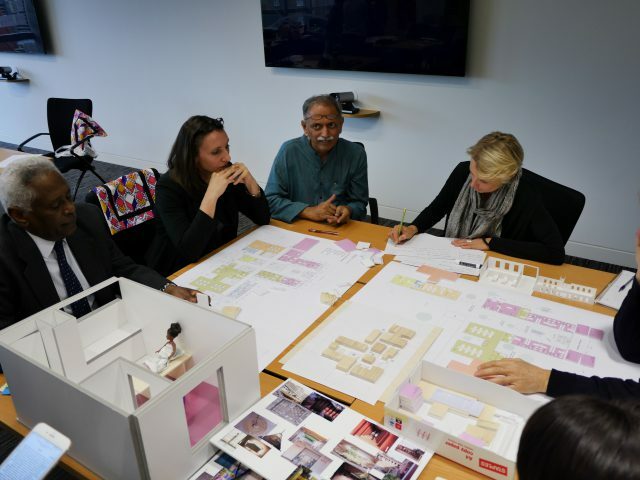 A model building – Architect Helena Sandman shares layout plans for the advisory group. Follow the social media updates as we prepare for Women Deliver through the #birthinprogress hashtag on Twitter and Instagram. During the next weeks, we’ll be sharing concepts, drafts and other work in progress of the preparations.